It's fairly rare one celebrates a Diamond Anniversary. This year I know of two, the Queen of England and my parents! The Queen assumed the throne of England in same year my parents were married in Columbia, Missouri. Just months afterward my father was sent to the front lines of the Korean War. When he arrived in Korea he received orders to report to the Commanding General's office and assume the duties of 24th Division Public Information Officer and publishing the Division newspaper. My mother taught in an elementary school in Independence, MO, and occasionally said hello to President Truman when he was taking a walk around the block. 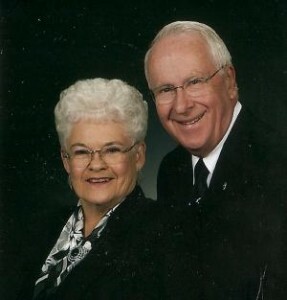 I wanted to congratulate my parents on their 60th Anniversary and wish them many more! You can read their announcement in the Rapid City Journal by clicking here. here.